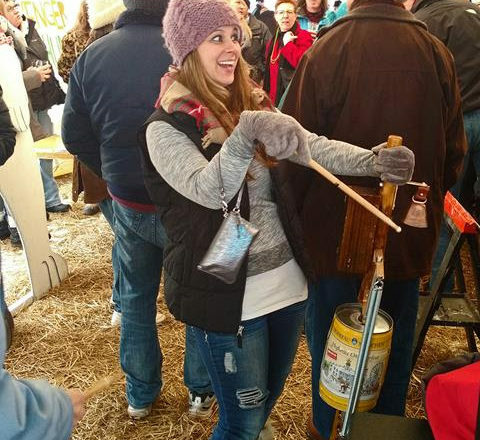 Winter Festival brings out the enthusiasm in stumpf-fiddle players. Don’t miss this year’s competition on Feb. 2. Fish Creek’s Winter Festival celebrates 32 years on Feb. 1, 2 and 3. With many eclectic, downright goofy activities and attractions, people can’t help but enjoy themselves. Winter Festival features live music, quirky games, delicious food, the wacky Fruit Loop Fun Run, an entertaining stumpf-fiddle contest, a fireworks display and a Smokin’ Hot Chili Cook-Off. A heated tent overlooking the frozen waters of Green Bay is the perfect place to warm up between activities. On Feb. 1, participants can enjoy an Adult Art Night at Hands On Art Studio or see a stumpf-fiddle demonstration by Jim Elder. On Feb. 2, festivities begin at 10 am at Clark Park. Enjoy festive games inside the tent, a live DJ, food, drinks and Winter Festival merchandise. The judging for the chili cook-off takes place at 12 pm, and the stumpf-fiddle contest runs from 2 to 3 pm. Bacchus Lotus will perform from 1 to 2 pm and again from 3 to 5:30 pm. Fireworks start at 5:45 pm. 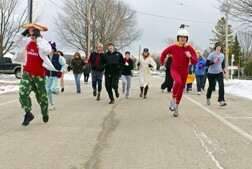 Winter Festival wraps up Feb. 3 with the annual Fruit Loop Fun Run/Walk at 10:30 am. For more information and a complete list of events, go to visitfishcreek.com.